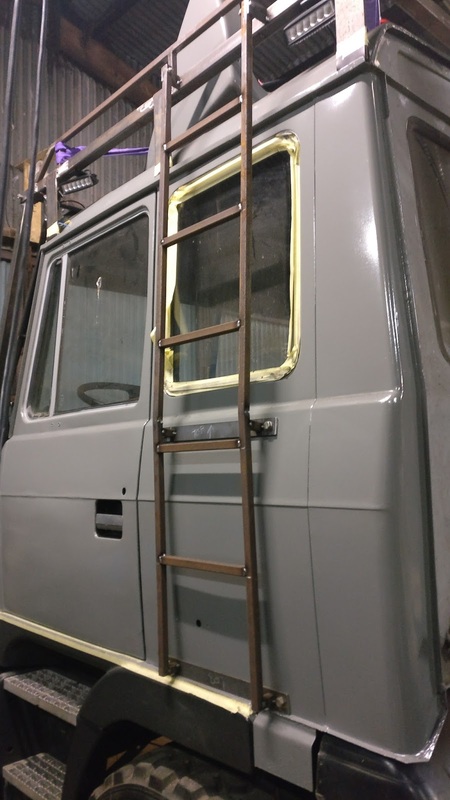 Ok, its time to get the roof rack and ladder sorted, I had previously part built the roof rack but was unable to move it on my own. 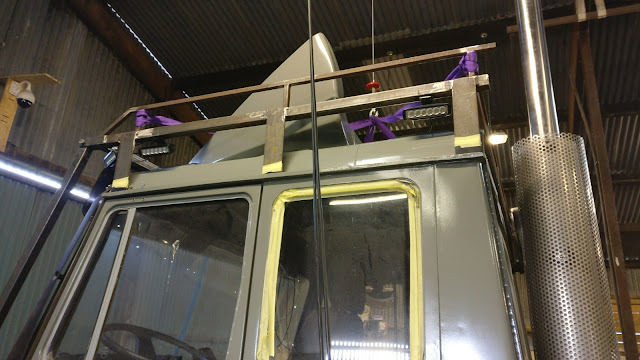 Eventually, i fitted an electric winch to the roof of the workshop, this made it easier to offer up to the truck. 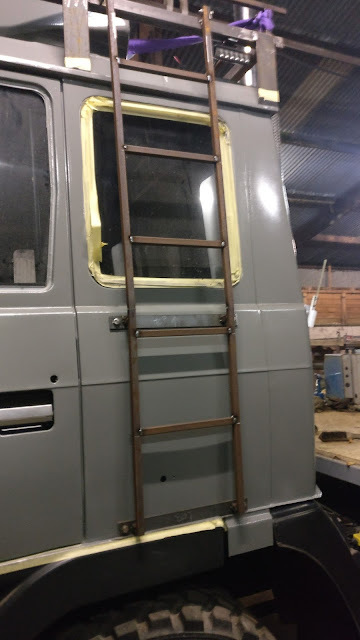 I just lifted the rack to the roof, drove the truck under it and dropped it back on the cab roof. 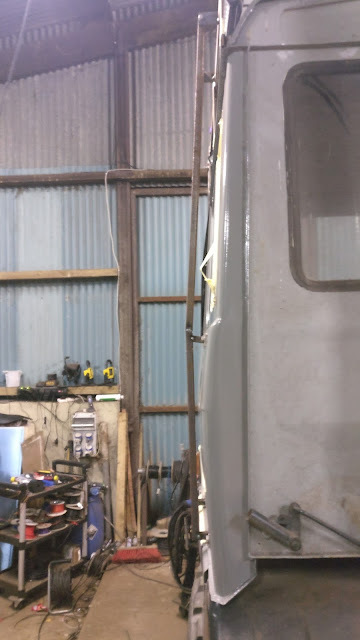 Once all the lighting brackets are welded on, it's off for galvanizing and then satin black paint. The ladder was a bit tricky, it had to be shaped to the side contour of the cab. 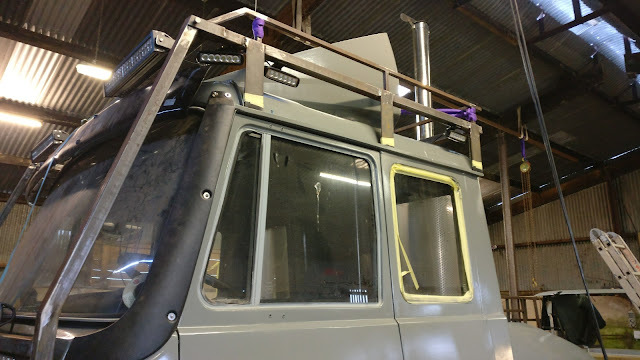 You can just see the test fitting of the roof lights and light bars if you look carefully !! 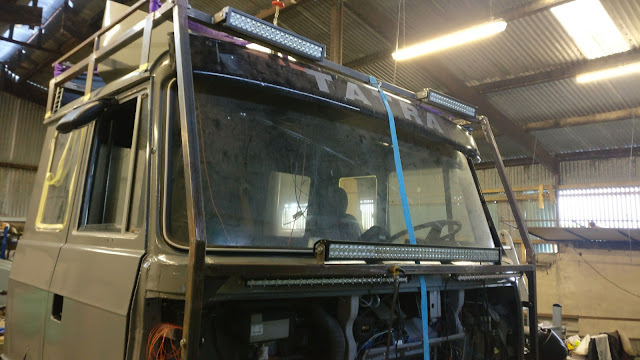 The lights on the side are for security and will light with the ones on the body, the led bars up high are for off-road lights as is the big bar on the front. The ones on the corner are cornering lights.